Keizan was born and raised in Shiga Prefecture, neighboring Kyoto, the ancient capital of Japan. Since early childhood, he has had a deep interest in calligraphy and painting. As he grew up, he visited a variety of temples and shrines in Kyoto, where his appreciation for the many old paintings, calligraphy, and traditional gardens grew.As these art forms inspired him a lot, he himself has tried traditional arts such as calligraphy, ink painting, and engraving seals with his teachers. Keizan has learned foreign languages, such as English, Chinese, and Korean, and wishes to introduce traditional East Asian arts to Westerners as well as to share his works with Chinese or Korean people. Another dream of his is to explore a new world of ink painting. Since the current ink painting has lost its power and its way of expression has little appeal to the modern world. The works of ink painters who do not practice calligraphy lack strength in their lines, which is critical to ink painting. As some critics have pointed out, it is a responsibility for calligraphers like him to resurrect ink painting. 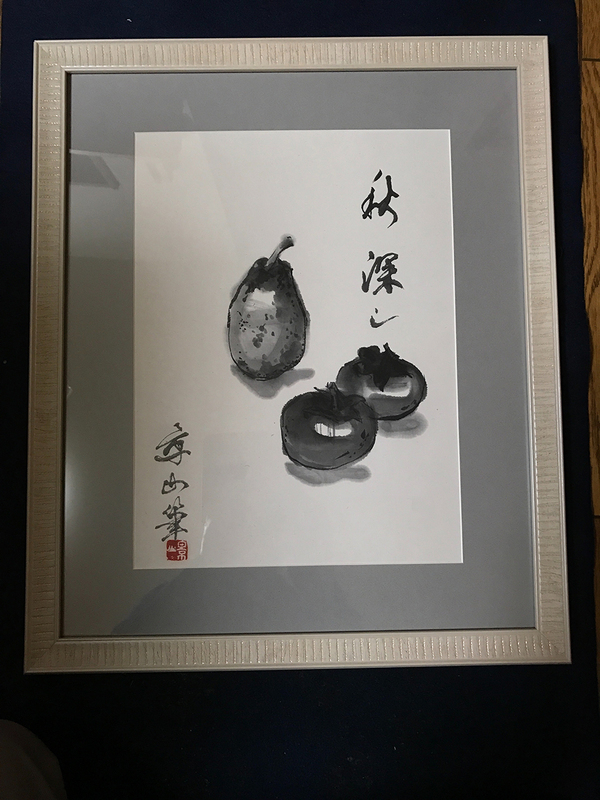 It was once a very powerful art form when Soga Shohaku, or Hakuin painted during the Edo Period.Under their influences, he is assured that he can bring about revolution to ink painting in America, and can bring back a new ink painting to Japan. This is his ultimate goal.